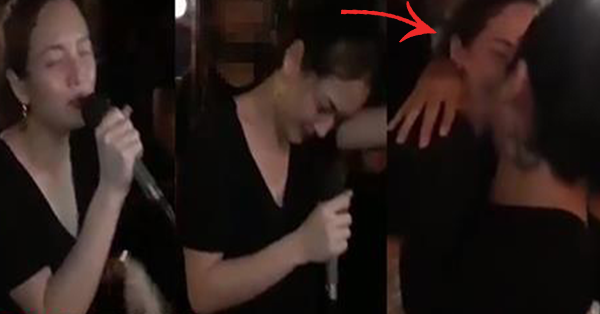 Drunk Ellen Adarna Singing And Caught Doing This With Baste Durterte! One of the hottest stars of ABS-CBN Ellen Adarna is now giving knocks the attentions of many Netizen again. This is not the first time that Ellen Adarna caught the attention of the netizens. She became prominent recently in making dance videos and other performances. Ellen Adarna is the only daughter of the owner of Queensland, a chain of motels in Cebu, Manila and Davao. Before she made a name for herself in the limelight, she started as an internet celebrity. She is now a model and had a popular stint under Candy, Esquire and FHM. Ellen Adarna was last seen on TV via defunct ABS-CBN show, “Langit Lupa” wherein she portrayed the role of Isadora “Issa” Sobrevista. Ellen got the attentions of many Netizens again because of this video with President Duarte's son Baste Duarte. The video was posted yesterday by a Facebook paged named "RIO" with the caption "Thank you Ellen Meriam Adarna for jammin and to @baste kilig moments"
The video easily spread and shared online receiving different reactions in the comments. The video shows that she is enjoying singing this Bisaya song while her drunk with Baste Duterte. So what can you say about this video? Share us your thoughts by simply leaving on the comment section below. For more trending and viral videos, feel free to visit our site often. Thanks for dropping by and reading this post.